The Acting Deputy Chairman of the Odesa Regional State Administration and Mikheil Saakashvili’s ally Oleksandr Borovik declared he decided to leave the civil service. He notes that he resigns in connection with the entry into force of a new edition of the law on civil service, according to his posting on Facebook. 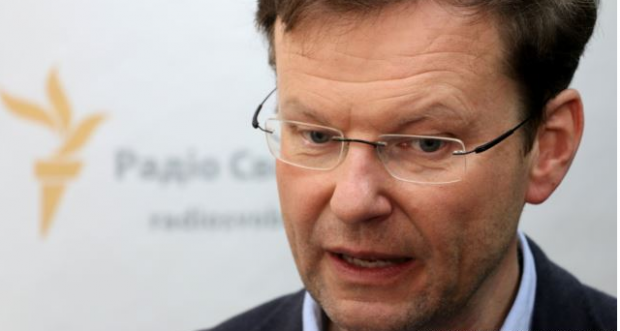 Borovik regrets that the Ukrainian legislation prohibits dual citizenship and would like to thank the Government of Germany, which, at his request, made an "exception as for the prohibition of dual citizenship, which is enforced in Germany." Read alsoJaresko’s deputy resigns"Today, I'm quitting the civil service and stopping to serve as Vice Governor of Odesa region," said Borovik. According to him, he is an adviser to the head of the Odesa Regional State Administration, Mikheil Saakashvili, and his dismissal from the civil service will allow him to focus more on the work of the Odesa City Council, as he is also a local deputy. Borovik added that he is now working on several projects. According to him, he had earned UAH 15,300 performing civil service over the last year – the money he would transfer for the needs of the Anti-Terrorist Operation. Read alsoNo pasaran: Opposition Bloc MPs Boyko, Novinsky forced to leave OdesaAs UNIAN reported earlier, on June 9, 2015, Chairman of the Odesa Regional State Administration Mikheil Saakashvili at his first press conference in Odesa in the status of a civil servant stated that he brought in Borovik to work in the region, claiming he was an acclaimed expert with extensive experience in international economic activity. He noted that Borovik had Odesa roots, was full of enthusiasm and volunteered to help carry out reforms in the region. Prior to appointment, Deputy Head of the Odessa Regional State Administration Sasha Borovik was an adviser to Odesa Governor Mikheil Saakashvili. Earlier, being First Deputy Minister of Economy of Ukraine, Borovik said that he quit the Cabinet because of a conflict with the then Prime Minister Arseniy Yatsenyuk. On May 14, 2015, Ministry of Economic Development and Trade terminated the contract with Borovik, who in February was presented as a candidate for the post of the first deputy minister. Minister of Economic Development and Trade (at the time) Aivaras Abramovicшus claimed responsibility for Borovik’s resignation. In early March 2015, President of Ukraine Petro Poroshenko granted Borovik Ukrainian citizenship.